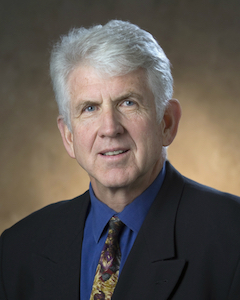 Washington, D.C. — “It’s not time to regulate and control and tax the Internet.” Those are words of wisdom about Net Neutrality from Dr. Robert Metcalfe, inventor of Ethernet, held here at the MEF GEN14, the annual conference from the Metro Ethernet Forum. At MEF GEN14, Bob gave a keynote, chaired a panel on innovation, and was behind the microphone on several other occasions. I’m going to share some of his comments and observations. Why didn’t WiFi appear earlier? According to Bob, radio links were part of the original work on Ethernet, but the radios themselves were too slow, too large, and required too much electricity. “It was Moore’s Law,” he explained, saying that chips and circuits needed to evolve in order to make radio-based Ethernet viable. Interoperability is key for innovation. Bob believes that in order to have strong competitive markets, you need to have frameworks for compatibility, such as standards organizations and common protocols. This helps startups and established players compete by creating faster, better and cheaper implementations, and also creating new differentiated value-added features on top of those standards. “The context must be interoperability,” he insisted. Implicit with interoperability is that innovation must respect backward compatibility. Whether in consumer or enterprise computing, customers and markets do not like to throw away their prior investments. “I have learned about efficacy of FOCACA: Freedom of Choice Among Competing Alternatives. That’s the lesson,” Bob said, citing Ethernet protocols but also pointing at all layers of the protocol stack. With Net Neutrality, the U.S. Federal Communications Commission should keep out. “The FCC is being asked to invade this party,” Bob said. “The FCC used to run the Internet. Do you remember that everyone had to use acoustic couplers because it was too dangerous to connect customer equipment to the phone network directly?” He insists that big players—he named Google—are playing with fire by lobbying for Net Neutrality. “Inviting the government to come in and regulate the Internet. Where could it go? Not in the way of innovation!” he insisted.